New Delhi: Four days after the death of police inspector Subodh Kumar Singh in Bulandshahr, Uttar Pradesh chief minister Adityanath finally broke his silence and said his killing during the mob violence was “an accident”. Bulandshahr, a town in western-Uttar Pradesh, witnessed clashes between members of Hindutva groups and state police on December 3. What started out as a small skirmish over an alleged incident of a cow slaughter soon escalated into a violent riot-like situation on the morning of December 3. Caught between the resulting mob violence were police inspector Subodh Kumar Singh and a 21-year-old BJP activist, Sumit. Both were killed. The police has so far booked 90 men for the incident, naming 28 of them. The suspects include members of the BJP Yuva Morcha, VHP and the Bajrang Dal. Adityanath, however, maintained that the incident was not a case of mob lynching, but was rather an accident for which everyone responsible will be punished. The Uttar Pradesh chief minister’s government has already been sharply criticised for its reaction on the matter. A meeting to discuss the incident was reportedly only called after Adityanath first attended poll rallies in Telangana and Rajasthan, and a laser show in Gorakhpur. While the political furore over the mob killing of the police officer raged on, Adityanath on December 4 ordered a probe into alleged cow slaughter in the area. Instead of speaking out against those responsible for Singh’s death, Adityanath doubled down on efforts to apprehend perpetrators of the alleged cow slaughter. 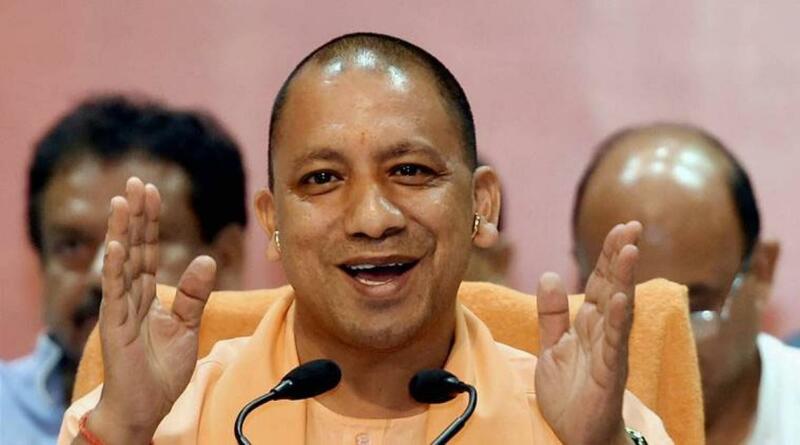 The Wire reported that Adityanath held a meeting in Lucknow with the senior officials in which he told them to take “tough action” against those who carried out cow slaughter.“The incident is part of a bigger conspiracy, and hence all those directly or indirectly related to cow slaughter should be arrested in a time-bound manner,” the official statement said. There was no mention of Singh’s death. He finally met the family on Thursday, three days after Singh’s death, that too only after he faced backlash for remaining conspicuously silent about the inspector’s death and its surrounding circumstances. Adityanath’s most recent statement also contradicts the findings in additional director general (intelligence) S.B. Shirodkar’s report. The report, which is yet to be seen by the chief minister, states that the violence on December 3 was part of a “larger conspiracy” with the intent to clash with the Muslim procession scheduled to pass through Bulandshahr-Garhmukteshwar State Highway that day. According to the report, the most convincing piece of evidence which suggests that the violence was a pre-meditated conspiracy is the fact that the cow carcass which was found at the spot, and was the catalyst for the ensuing violence, was more than 48-hours old. It was most likely not slaughtered in Sayana village, as claimed the Bajrang Dal’s district head Yogesh Raj, who stated in his police complaint that he had witnessed the slaughtering first-hand. The report further added that the mob-like behaviour suggests that there were elements in the crowd which were deliberately trying to escalate the situation to make it more violent.